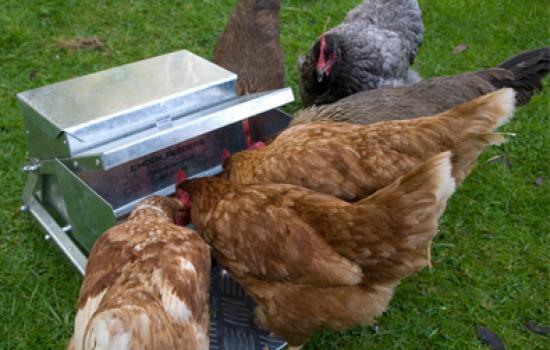 A Grandpa’s chicken feeder will protect your chicken food from pests and weather. Our feeders have proved hugely popular and we stand by our products, offering a money back guarantee. Large storage area holds approx 9kg/20lb (standard feeder) or 18kg/40lb (large feeder) of poultry feed. High quality galvanized finish built to last in tough, outdoor conditions. Free up your weekends! 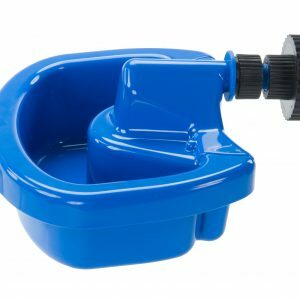 Suitable for chickens, bantams, and pheasants. 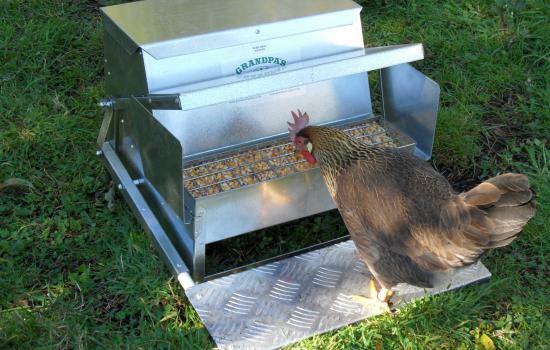 The feeder can be used by chickens, bantams, pheasants. 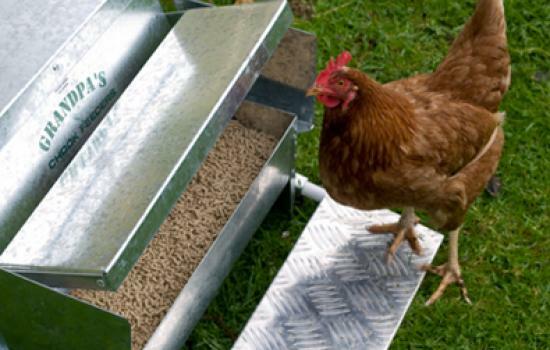 This feeder is suitable to use for lighter birds such as bantams as well as larger birds. Do not use with baby chickens as they may get caught when bigger birds step off. 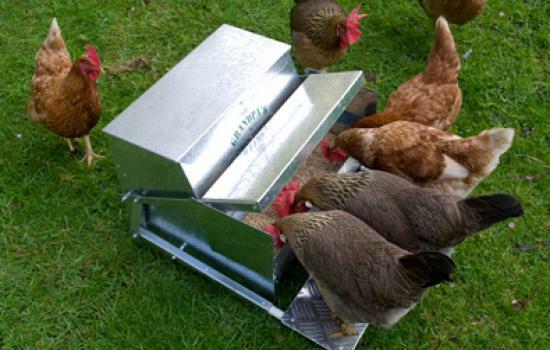 A standard feeder can have 3- 4 chickens eating together at one time, but can be easily be used to feed a flock. We recommend the standard feeder for flocks up to a dozen chickens but if you don’t mind filling it more often then it will support more. 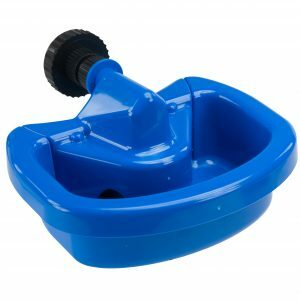 This product comes almost fully assembled, just fasten the treadplate on and you’re ready to go. The whole product fits easily into your car for transport. Grandpa’s Feeders were developed in New Zealand in 1995, after years of frustration of losing valuable food to sparrows, rats, and mice. It took several years for Bill (Grandpa) Kirkham, a retired farmer to perfect his automatic chicken feeder.